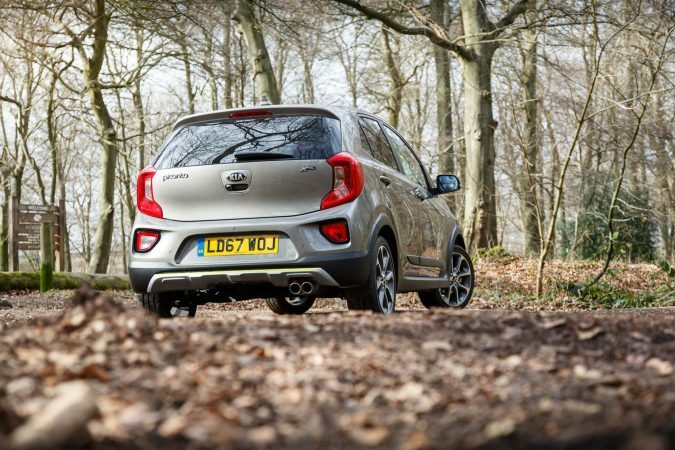 With the keys to the petite Picanto on stilts, we find out if this Korean entrée is just enough to satisfy your crossover needs. 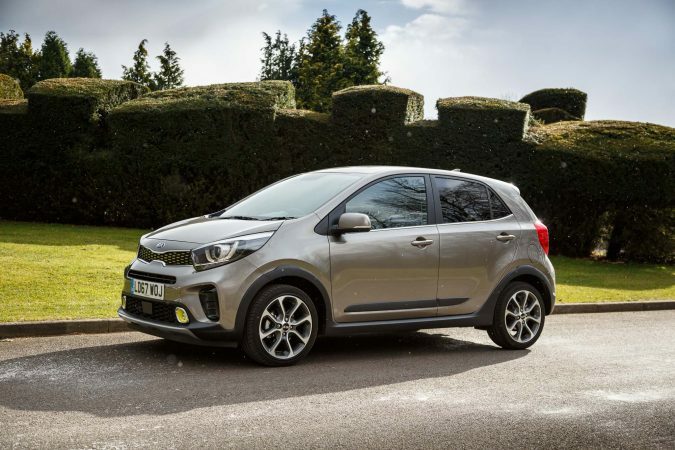 What’s the new Kia Picanto X-Line All About? 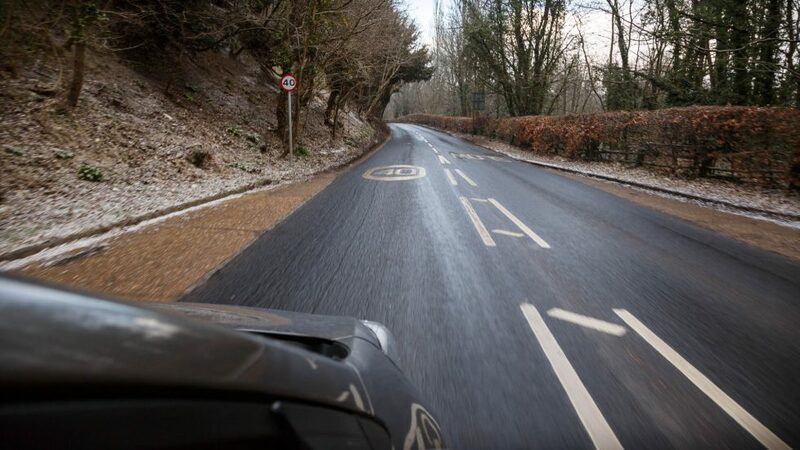 We like slightly taller cars because they offer practical benefits, especially in navigating coarse British roads. But it can get a bit excessive when you offer a crossover, with their tall ground clearance and big engines. 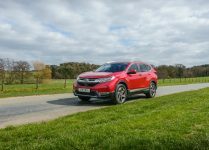 Sure, all that’s handy when you’re going cross country – but honestly, how many CUV buyers actually bring their cars off-road? What we want is something that’s still efficient for urban areas, but can shrug off the odd bit of gravel, dirt and potholes. 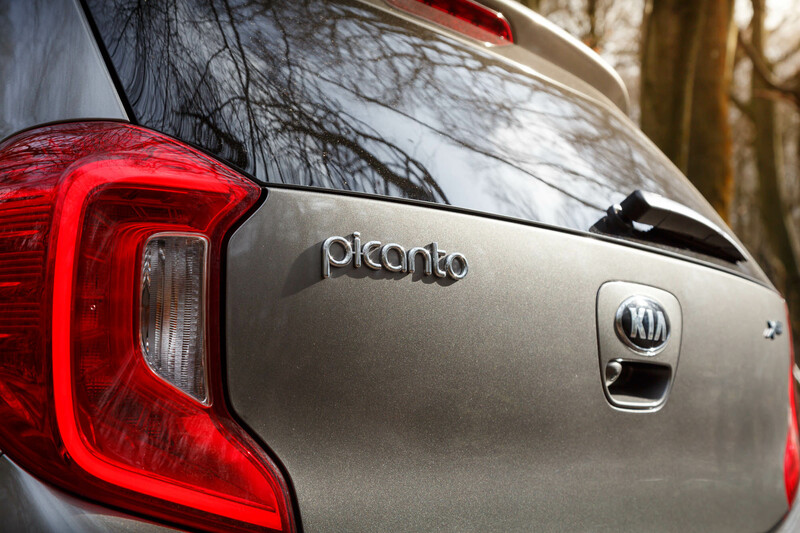 Think something like the Fiat Panda 4×4, Suzuki Swift 4×4, and now, the Picanto X-Line. You may know the Picanto as a small city car, but the X-Line adds a rugged cladding to that small city car. It’s now heftier, 75mm longer, 30mm wider, and 15mm taller. 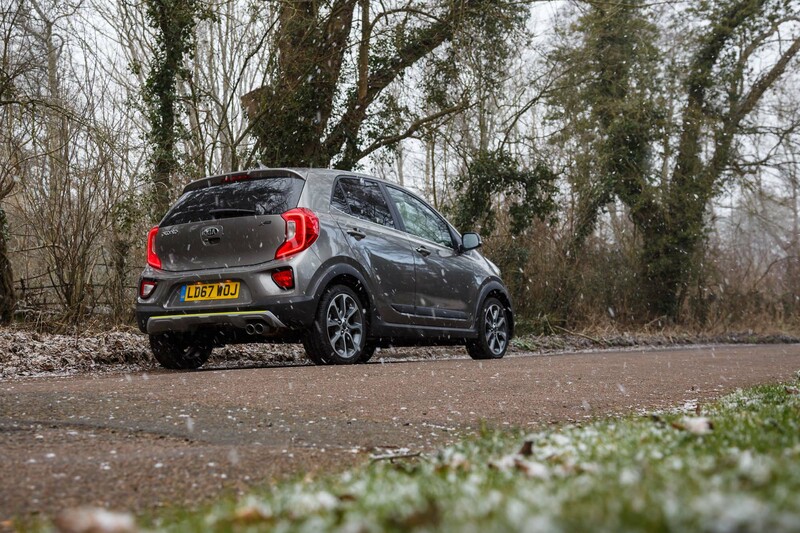 It’s difficult to pass the X-Line as a Picanto anymore, with its aggressive SUV-esque bumpers and skid plates. 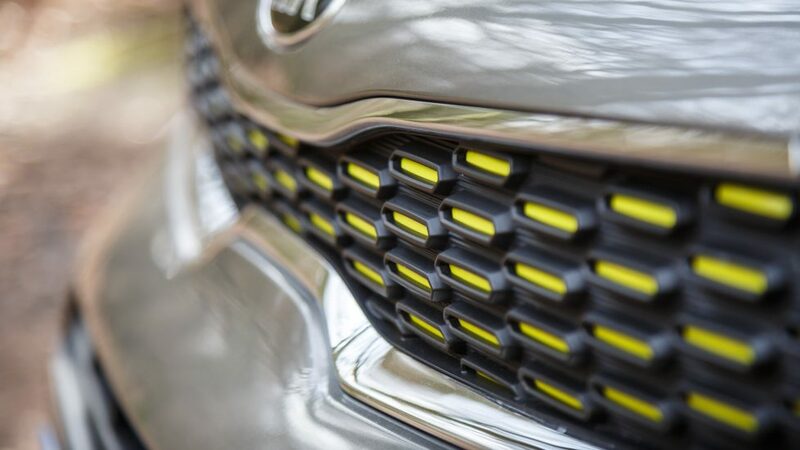 Rugged black plastic wraps around the entire car to give you a gritty, off-road ready look. Most everything else remains similar, other than the brash lime-green highlights dotted around the front fascia. 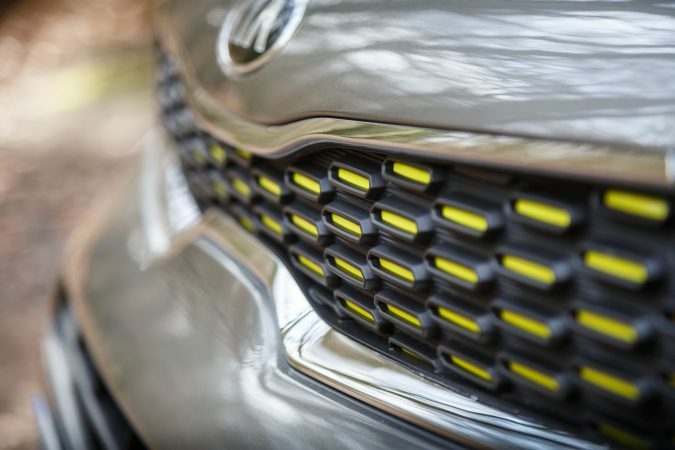 Some may say these highlighter-inspired contrasts are garish, but I think they add that bit of flair and frivolousness that the car world often lacks. 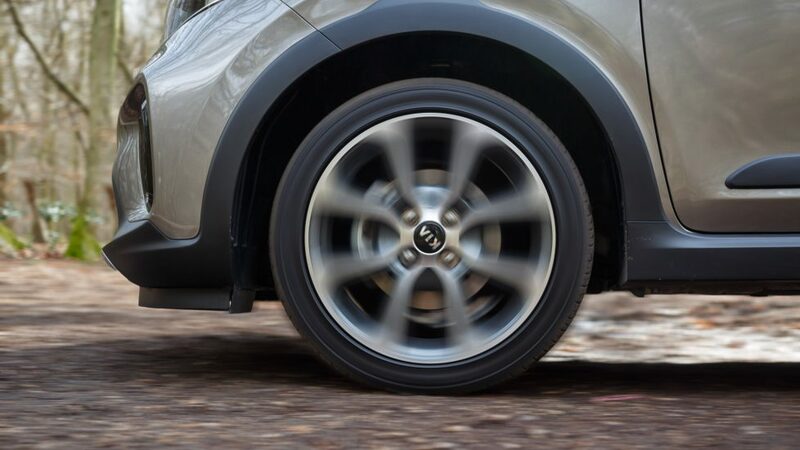 Of course, to complement the whole brutish show, we have 16″ alloys with 195/45 tyres, biggest you can get on a Picanto. 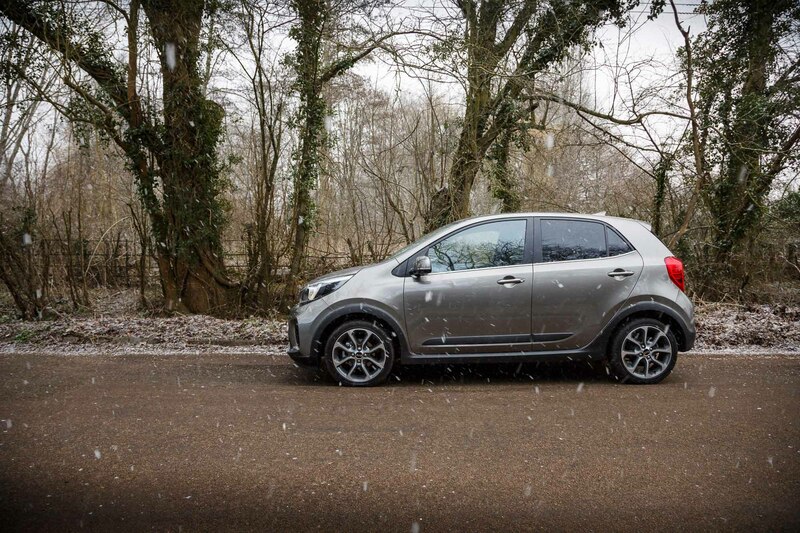 Our Picanto X-Line is painted in ‘Titanium Silver’, a more intriguing shade of grey that is pleasant and inoffensive. It’s a colour that lets the lime green accents take the limelight. Powering our Kia Picanto X-Line is a modest engine that can also be found in normal Picantos, the naturally-aspirated 1.25-litre inline 4 that makes 83 bhp and puts out 122 Nm of torque. The engine drives a 5-speed manual transmission that spins the front wheels only. It gets from 0-60 mph in 11.6 seconds, onto a top speed of 107 mph. 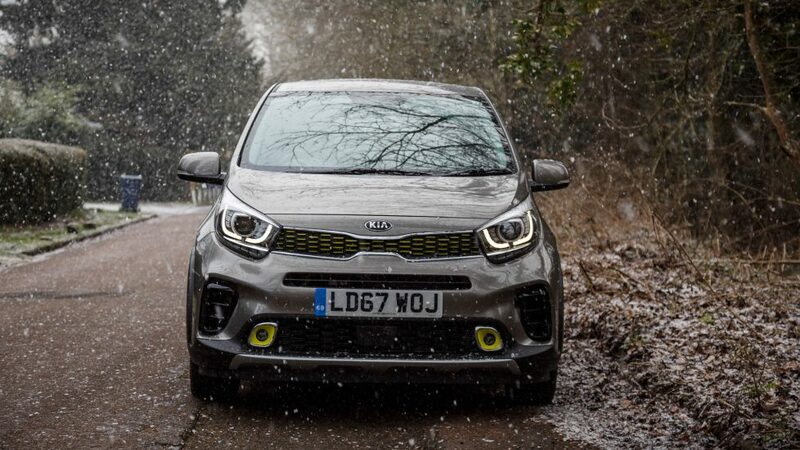 It’s a slow-paced car by any stretch of the imagination, but it’s in line with the Panda 4×4. 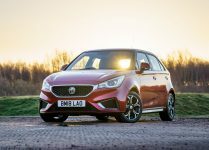 Economy figures are competitive for the segment: 61.4 mpg and 106 g/km of CO2. The engine doesn’t really make much power, but there isn’t a lot of weight to move around. It pulls surprisingly hard getting into the mid-range, plenty adequate for running around the city. In fact, it is just the right power for a grocery run. And this is where you can begin to appreciate the efficiency of a smaller engine. In addition to that, because this isn’t a 3-cylinder, or even the 2-cylinder found in the Panda, it’s smoother. 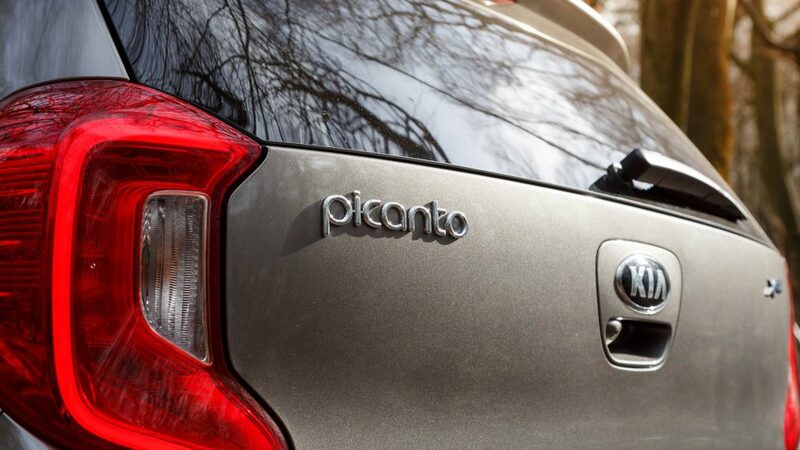 It’s more refined and quiet with impeccable idle quality, something you’ll come to appreciate at stop-start traffic. The Picanto X-Line only has five gears to work with, but you won’t really be missing out. The little engine makes the most of the first two close gears to get you up to pace, while the rest of the gears keep it fuel efficient. I’m impressed by how hushed the engine is at fifth gear even at motorway speeds. The shifter also has a slick action, with a firm and confident actuation. 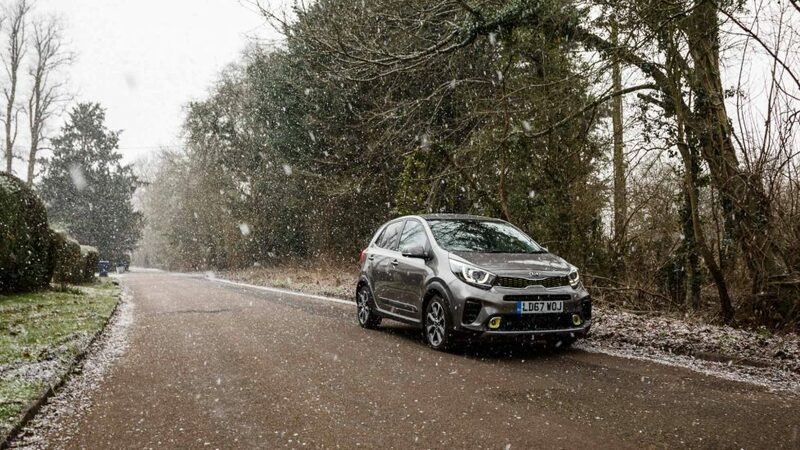 That said, it’s likely that you wouldn’t want to bring the Picanto X-Line onto the motorways too often since it’s not exactly the most well-insulated car. 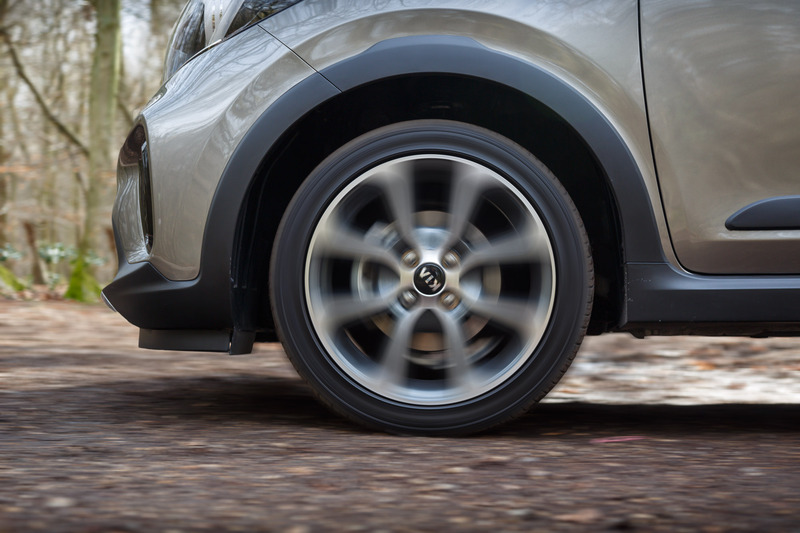 Once you get up to speed, wind rustles become audible and the low-profile tyres exhibit noticeable tyre roar. 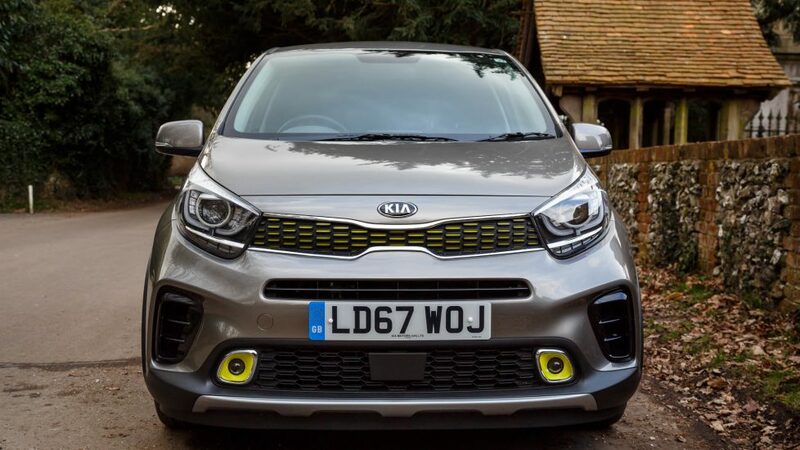 The normal Picanto has a great chassis; tight and dynamic for a car of its segment, and the Picanto X-Line shares that same chassis, with a revised suspension. 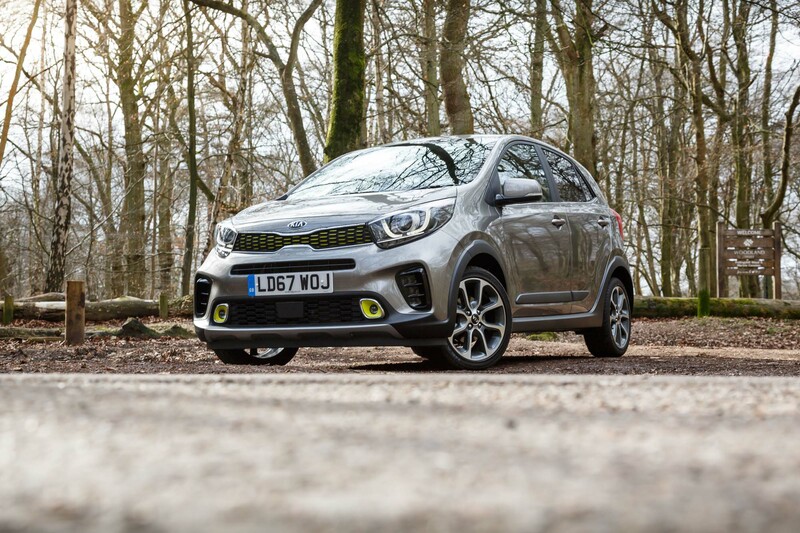 Pleasingly, the increased suspension travel and height of the car don’t compromise the overall balance of the Picanto too much. It has plenty of grip to make do with, and the whole body just turns in so eagerly. The steering is also well-behaved, being accurate and responsive, while body roll is well tamed. More importantly, the increased travel helps the X-Line shrug off road imperfections very well. It copes with undulations well too, and regains composure quickly. In fact, I found it to be quite a bit more comfortable than expected. 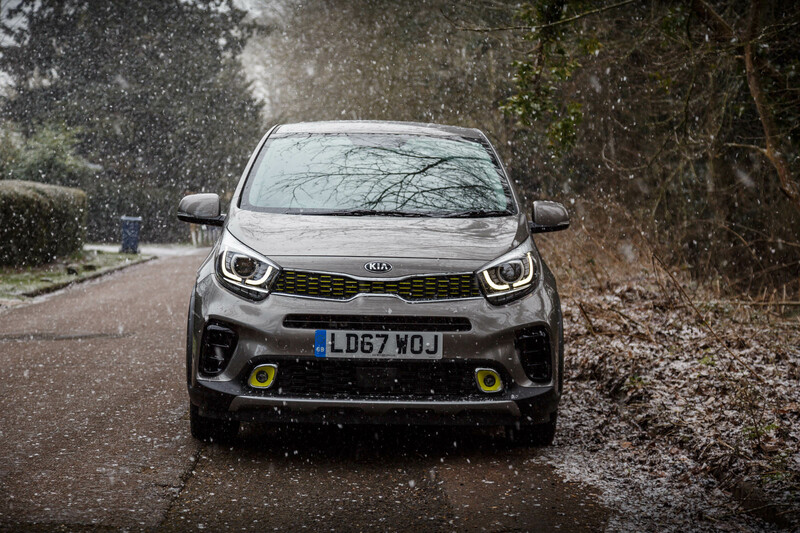 Kia has put in quite a lot of work packaging the new Picanto to offer more space on the inside, and it shows. The front seats are comfortable, and it offers decent space for adults. You don’t have too much in the way of wiggle room though, as your knees will knock into the gear lever, especially in fifth gear. The rear seats do suffer from a lack of legroom. Tall blokes will especially find it tricky to put their knees somewhere not directly behind the front seatbacks. 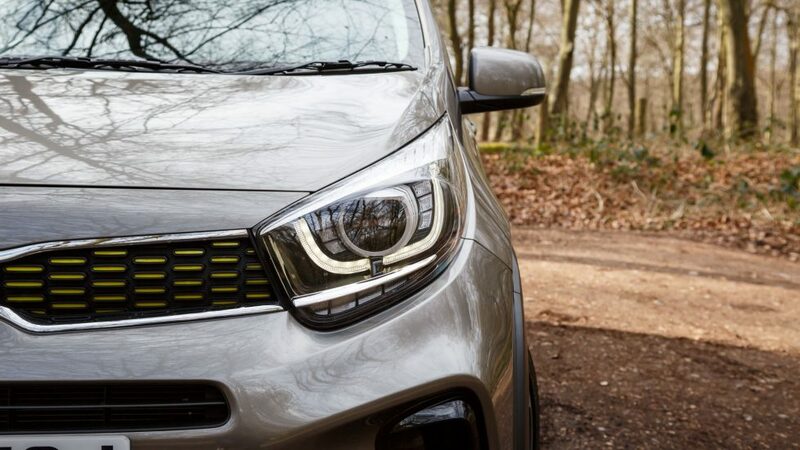 That said, it’s sufficient for short journeys, and it’s worth noting that the Picanto offers one of the larger interior spaces for a city car. 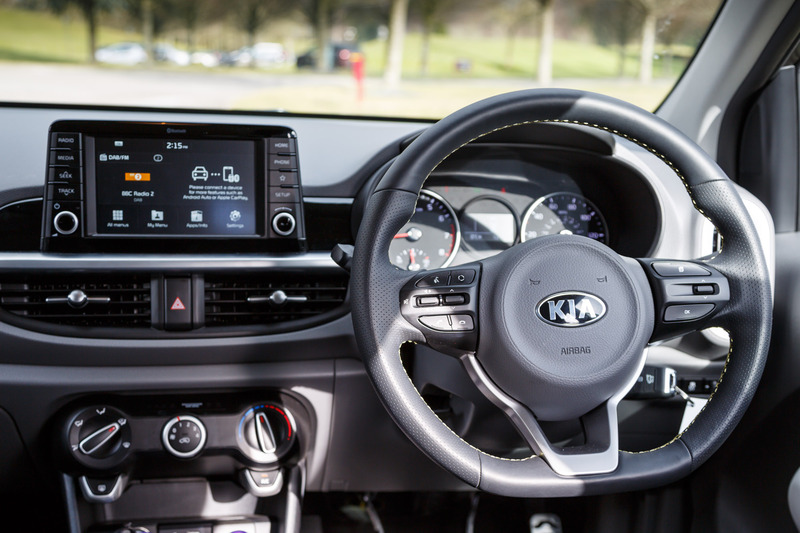 While Kia hasn’t gone mad with colours on the interior, it’s very uncluttered. 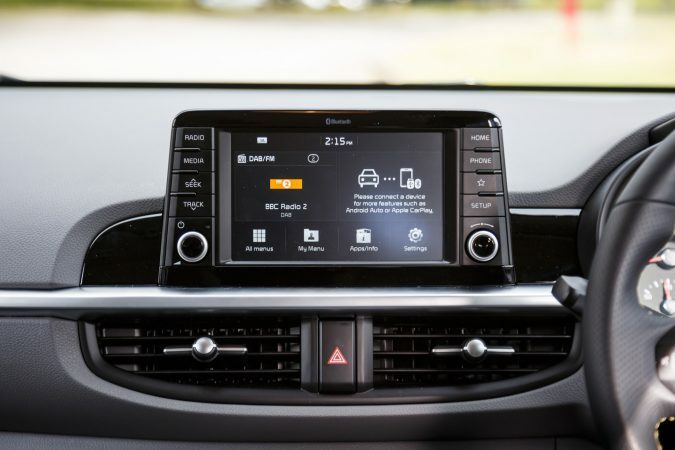 Most of the functions are built into the 7.0″ infotainment touchscreen, and there are just a few climate control knobs on the center console. It may not be lime-green snazzy, but it’s clean and pleasant to sit in. 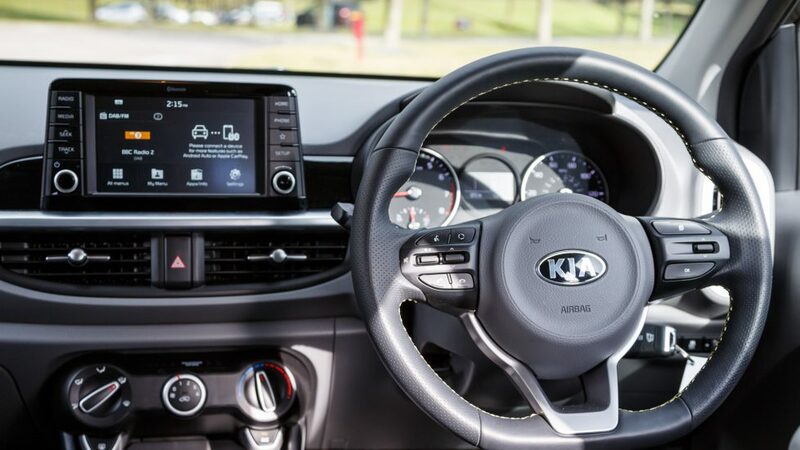 Kia has put some nice touches into the car, like a flat-bottom steering wheel, metal accents, and contrast stitching to add that bit more colour into an otherwise monotone interior. There are hard plastics to be found here, but the overall fit and finish is good. 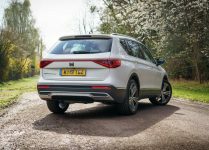 The boot capacity is very competitive for its segment at 255-litres with the rear seats up. Put the rear seats down and you get 1,010 litres of storage. 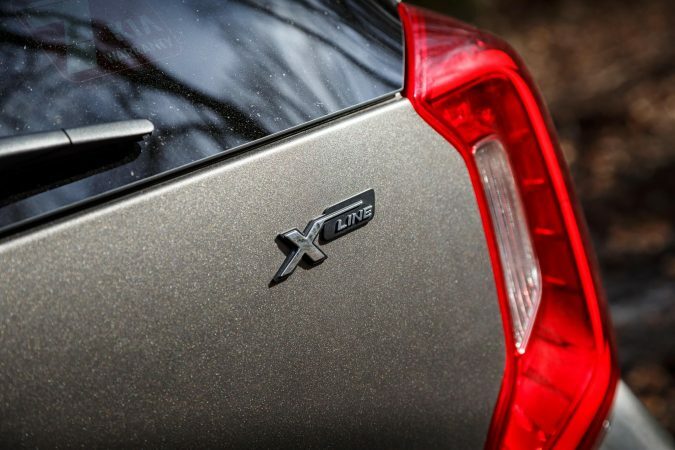 I have to say that I’m very impressed by how the X-Line behaved on the road. 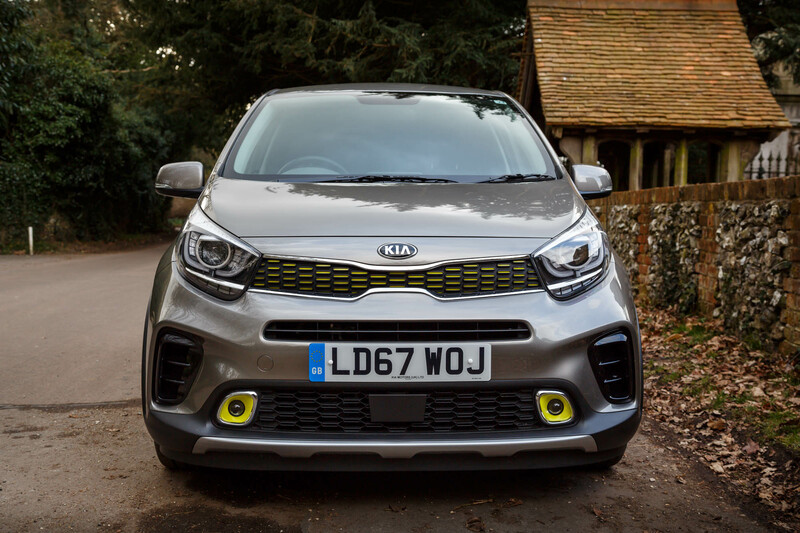 While it’s supposed to be a taller riding Picanto, it hasn’t lost its sporty touch. 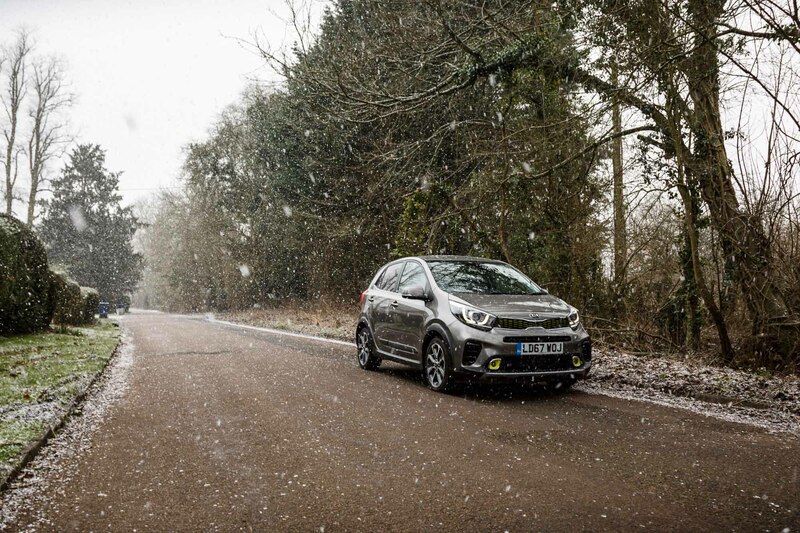 Even driven in the snow, it maintained excellent grip, no doubt thanks to torque vectoring. 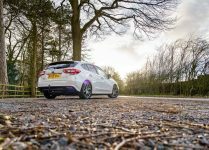 Throughout, it has been an entertaining drive, which is quite a surprise, especially for a raised city car. I quite like how it looked too – modern and stylish. 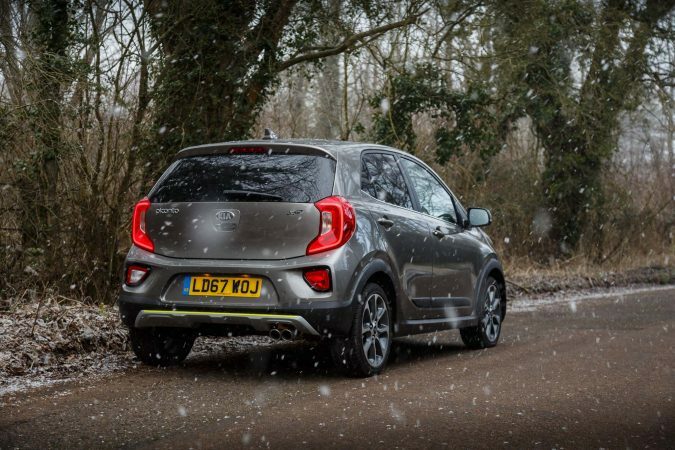 The Picanto X-Line is an alternative for those looking for a more practical Picanto instead of the sport-infused GT-Line. While I think it may be a bit of a stretch calling it a crossover, it offers just enough crossover elements to be a very appealing choice. 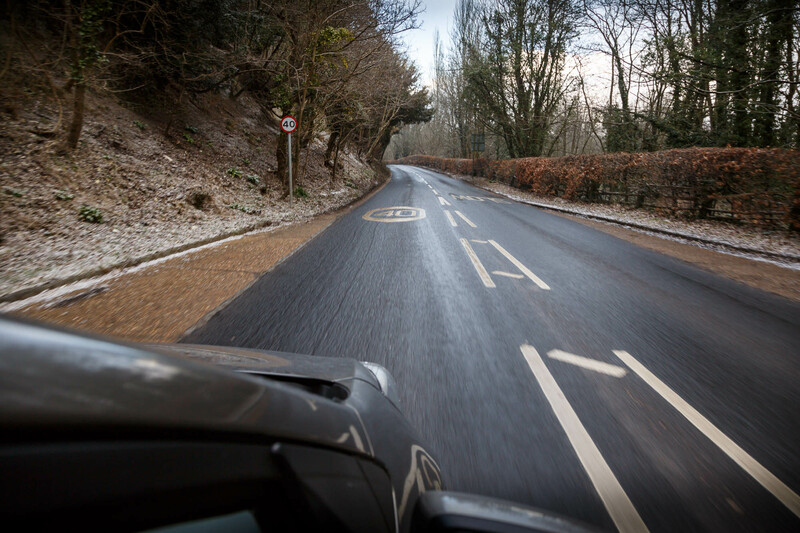 It feels more comfortable to ride in than the GT-Line, which many will find to be a good trade-off. 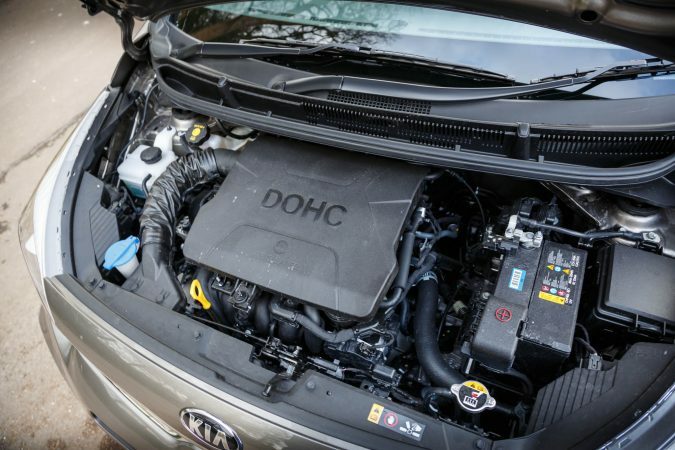 The engine provides plenty of fizz for a city runabout, and the car reacts positively towards driver inputs. It’s a bit basic in terms of tech, but plenty enough for the price. 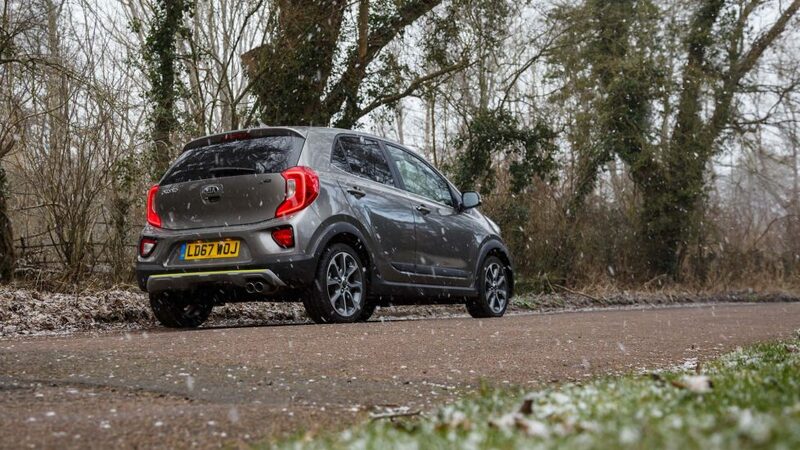 If you like the Picanto’s look, it’s very difficult to go wrong with the Picanto X-Line. 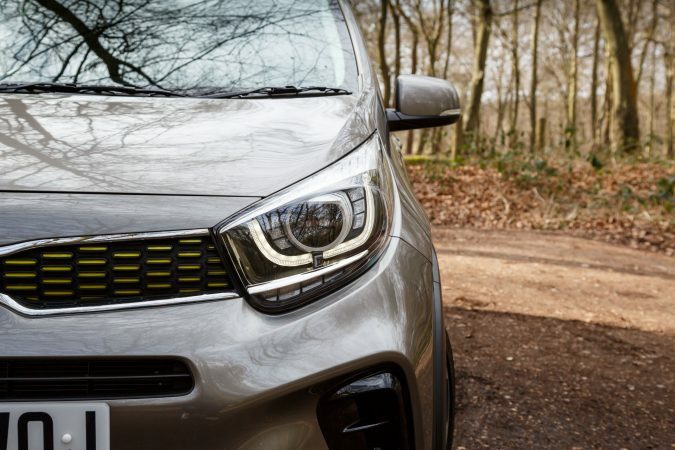 For its competitors, you may be looking at the Vauxhall Viva Rocks, Fiat Panda 4×4, and Suzuki Ignis SZ-T. 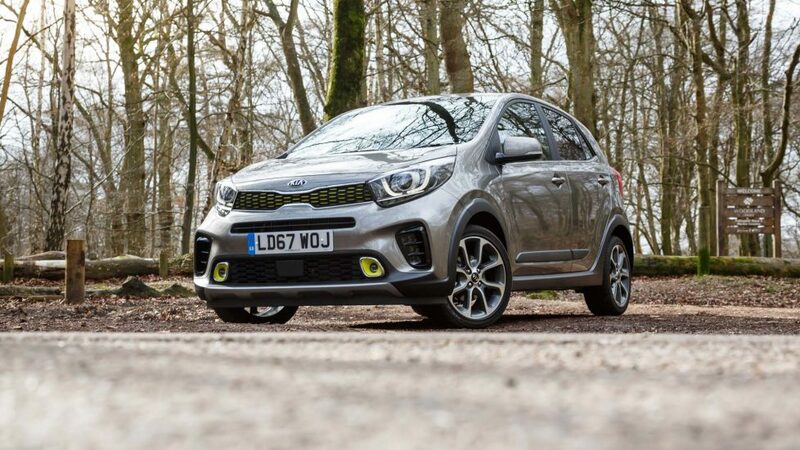 I think that, for the price, the Picanto X-Line would take my cash in the end.